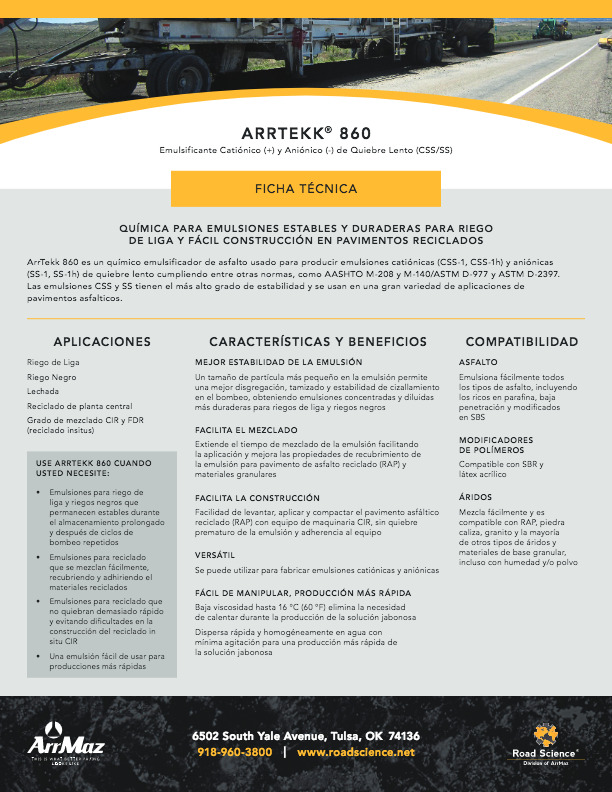 Inherent in some types of cationic emulsifiers are adhesion promoting and anti-stripping qualities which add durability to the roadway. 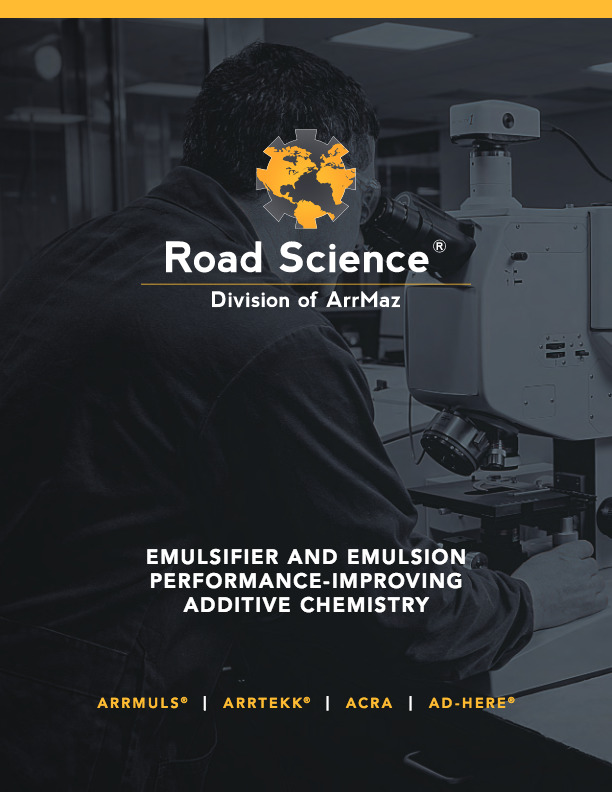 These types of emulsifiers can be engineered to break by chemical reaction, as opposed to anionic emulsions which rely mostly on environmental factors such as heat, sunlight and wind. 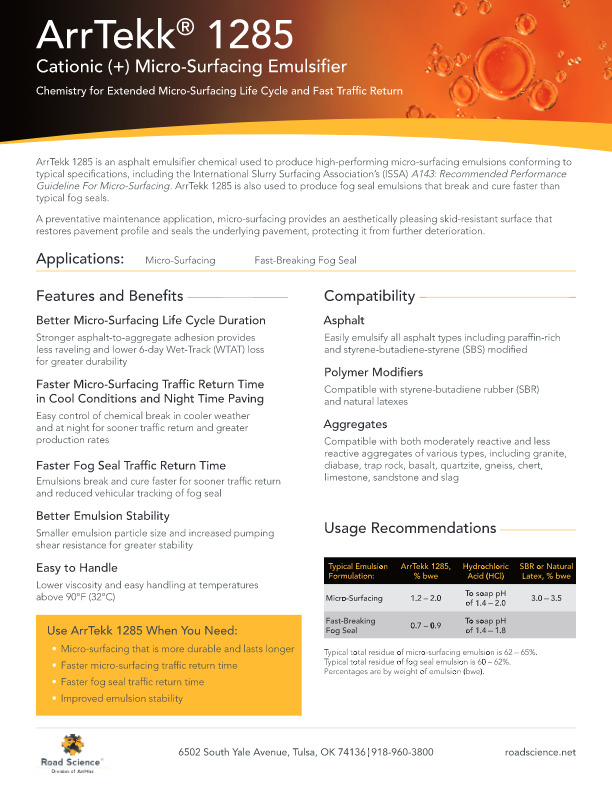 This allows for better control over the rate at which strength is built into the roadway. 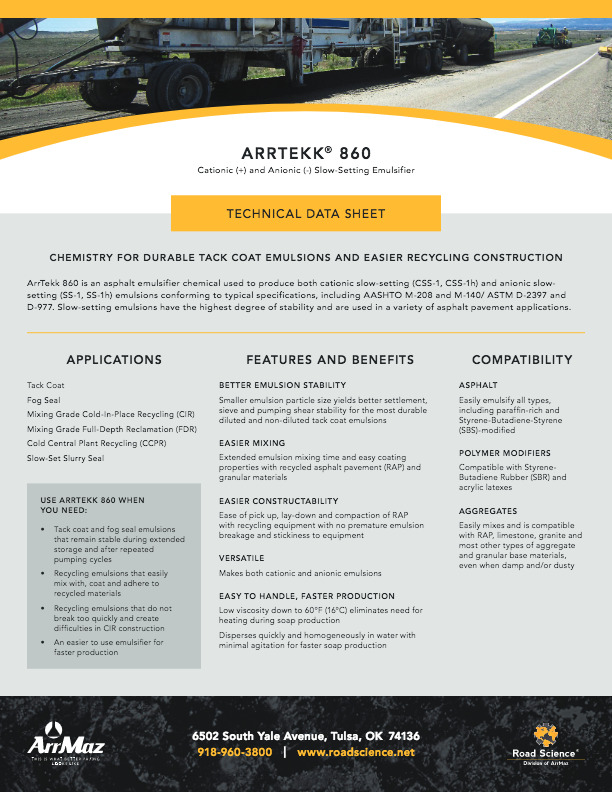 The reduction in asphalt quality seen over recent years presents challenges for industry. 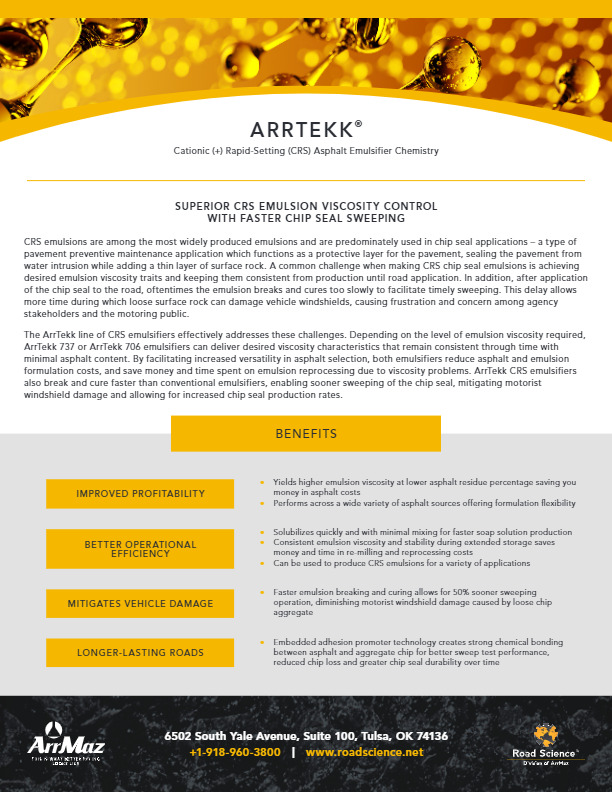 It has become more difficult for producers to make cationic emulsions that are storage-stable, consistent, predictable and achieve desired performance. 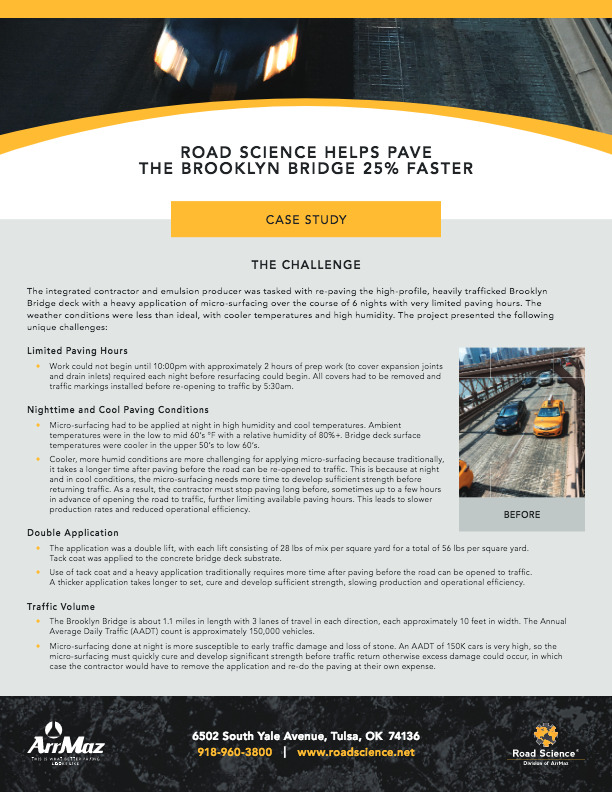 Road Science is positioned to conquer these challenges. 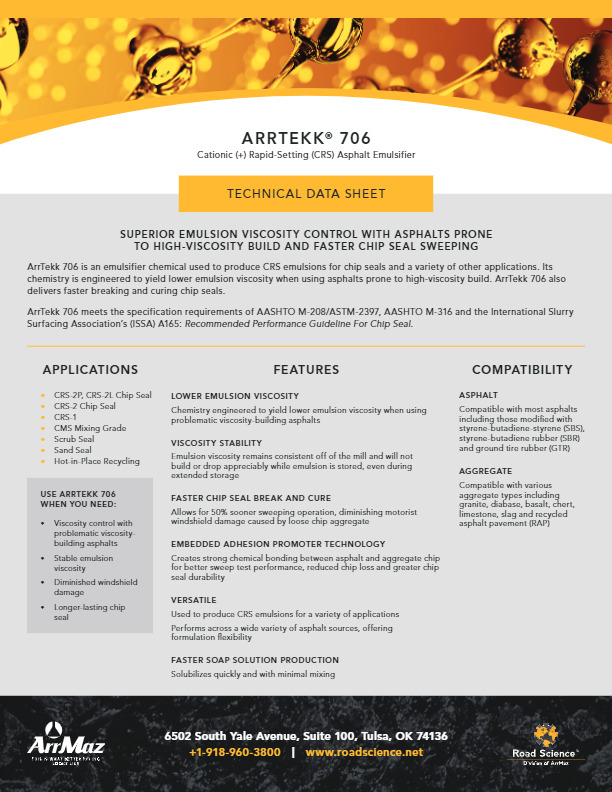 Unlike the competition, our emulsifier technology platform is based on the lesser quality asphalts that are commonplace today. 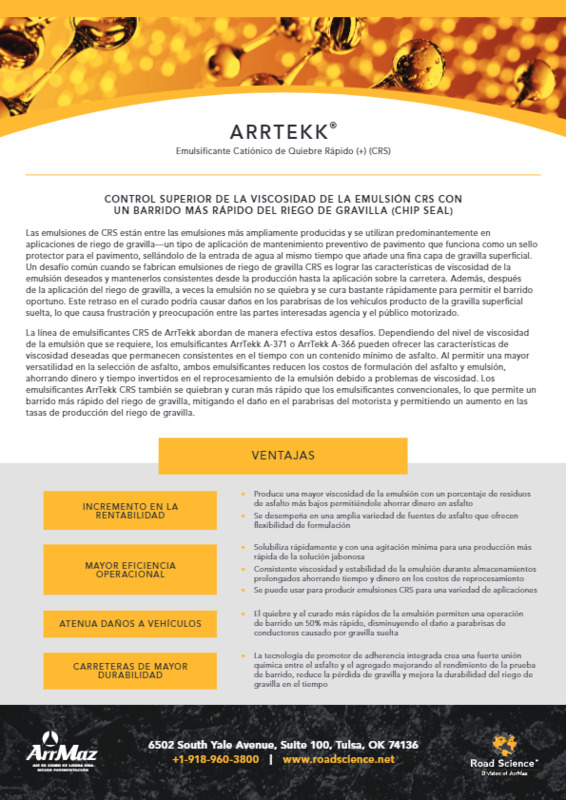 At the same time, we seek to raise the standard of traditional preservation and recycling performance standards and drive better performance through our emulsifier technology. 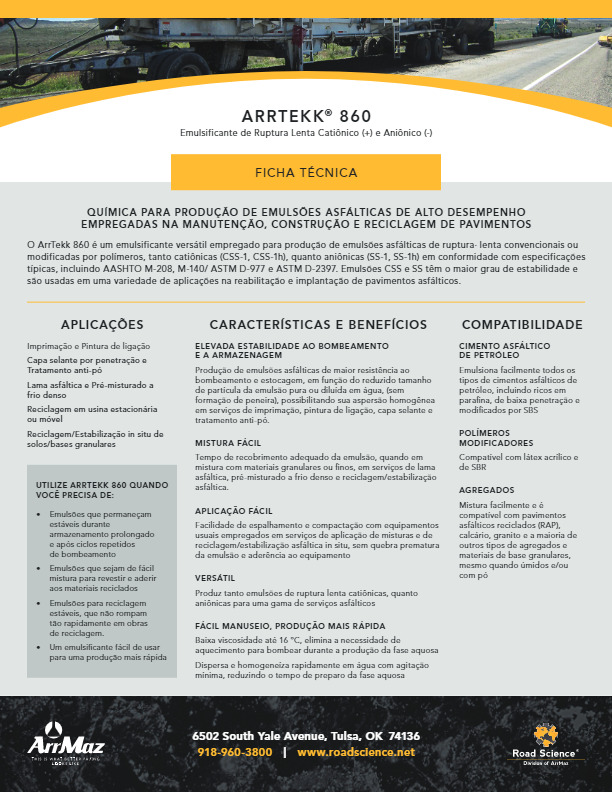 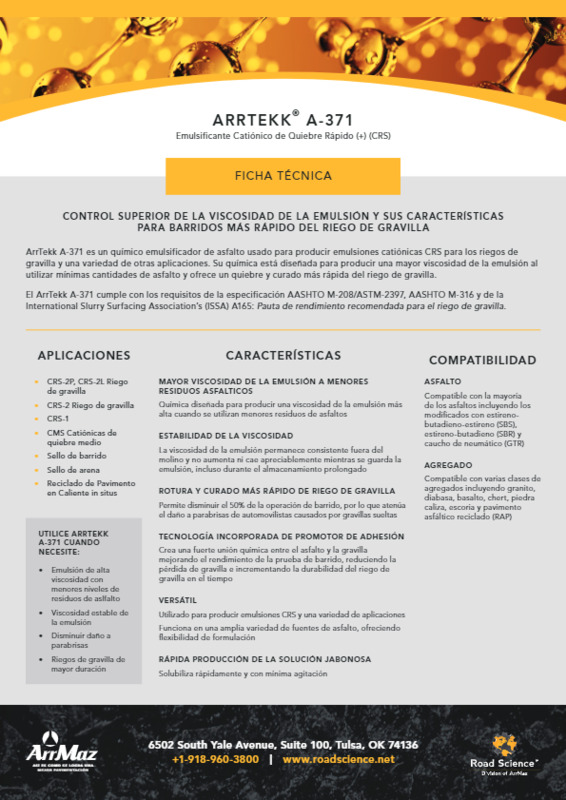 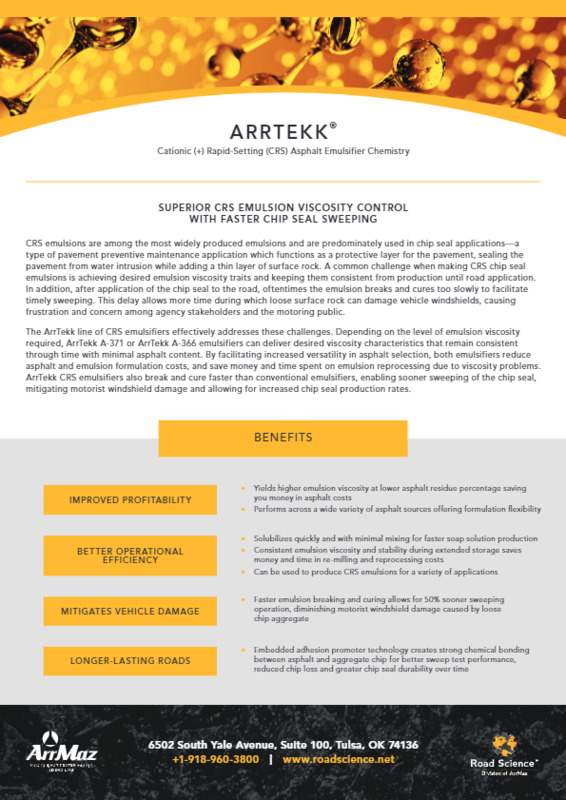 Road Science’s ArrTekk® line of cationic emulsifiers is predicated on creating asphalt recycling, micro-surfacing, slurry seal and chip seal applications that are longer lasting, have better constructability characteristics and facilitate faster return to traffic. 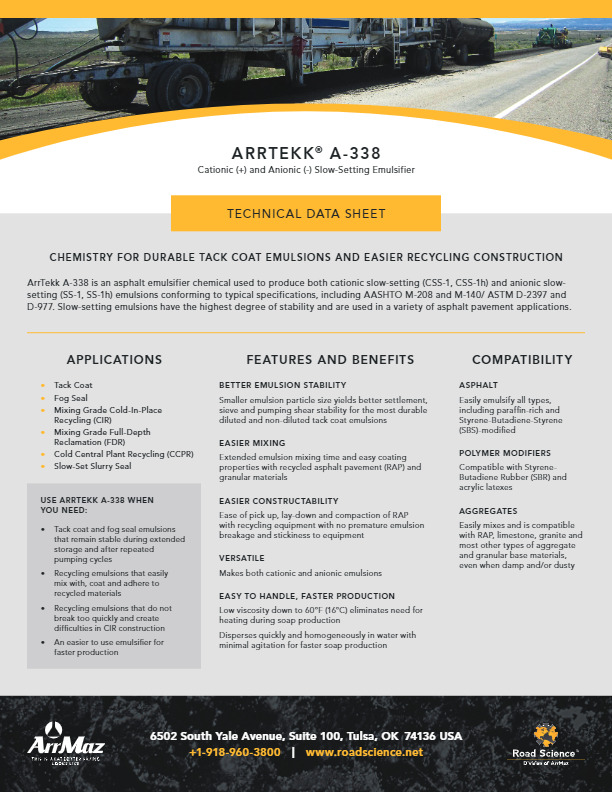 Our ArrTekk® cationic emulsifiers for micro-surfacing and high-performance recycling provide a wider window for easy mixing and laydown, even in the hottest paving conditions. 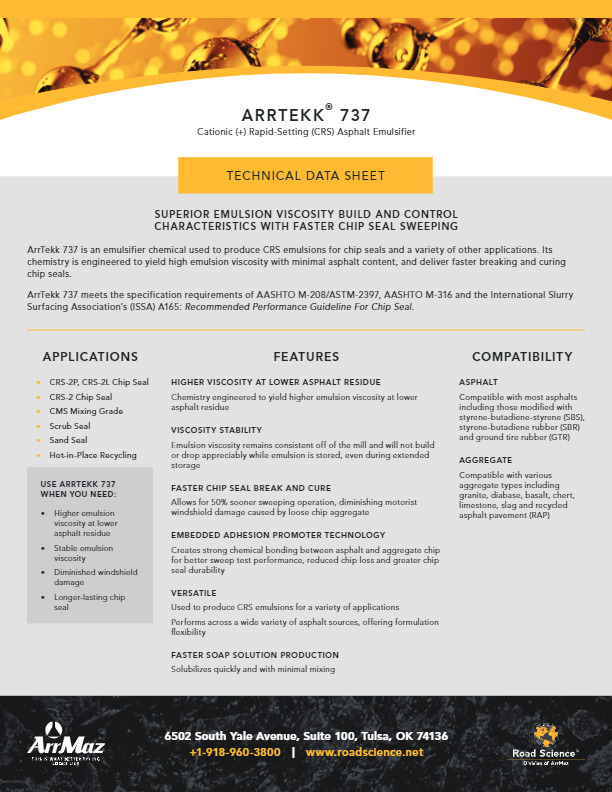 The same chemistry is engineered to develop rapid strength build-up for faster traffic return and early durability, even in cool weather and during nighttime paving. 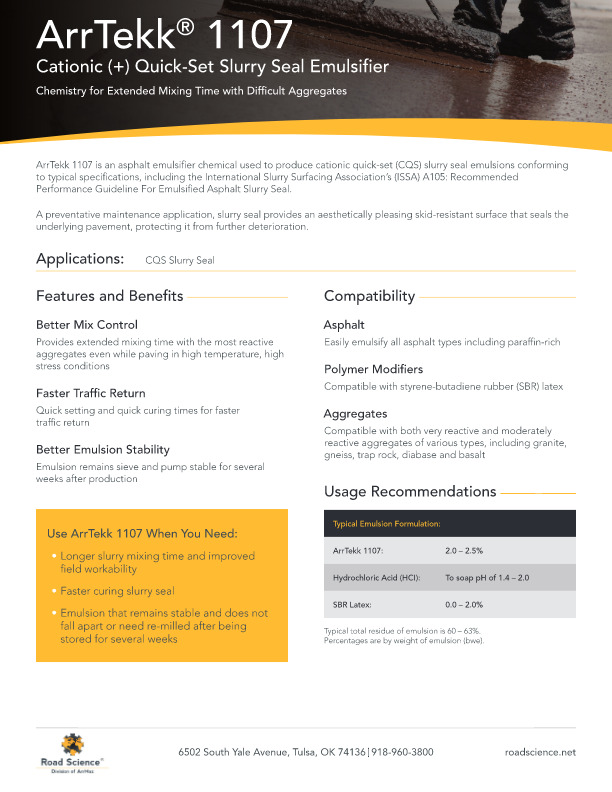 Leading edge anti-stripping technology protects from raveling and moisture damage, lengthening roadway life. 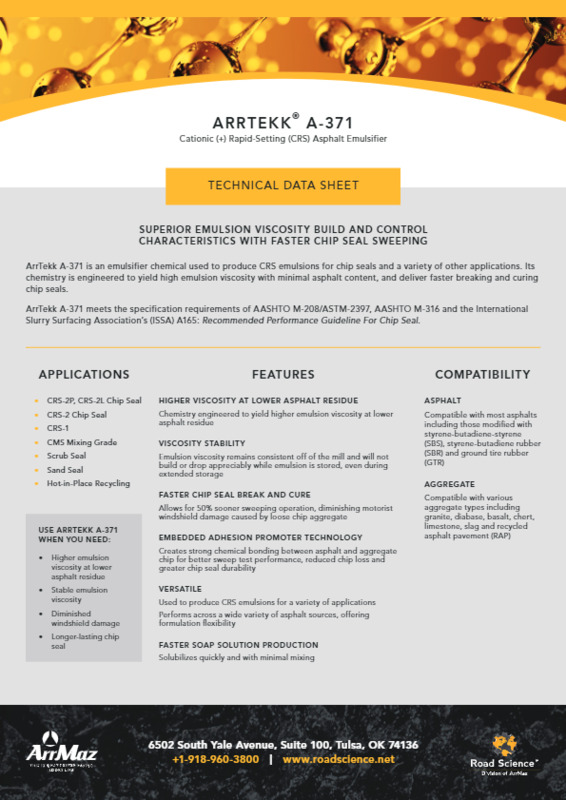 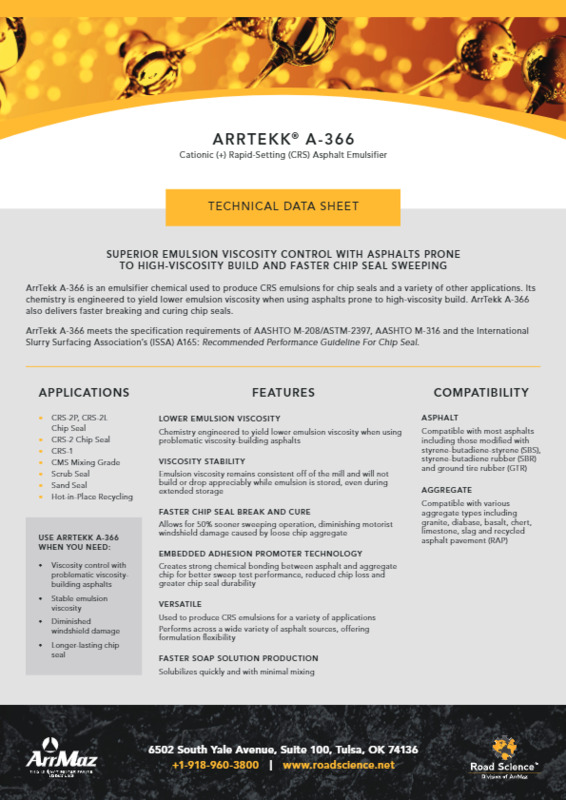 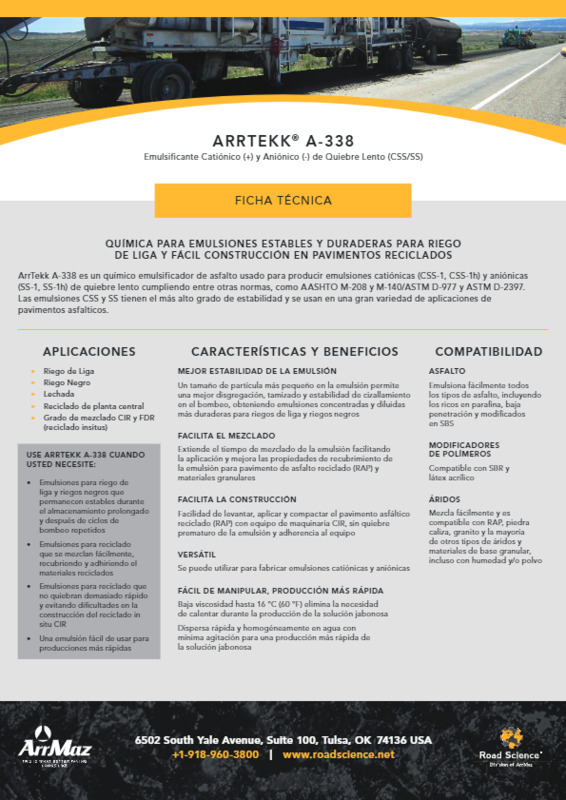 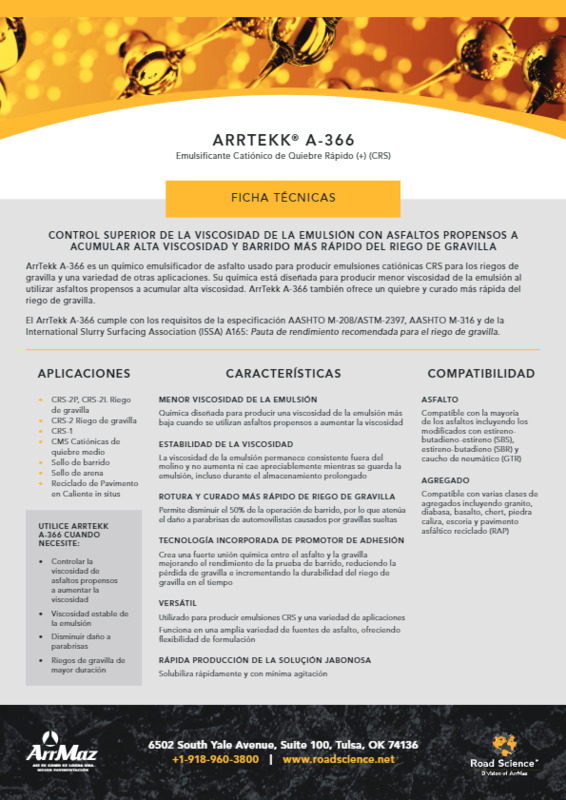 ArrTekk emulsifiers for chip seal applications offer consistency in emulsion viscosity, break faster for better chip retention and sooner sweeping, and also protect against long-term chip loss.